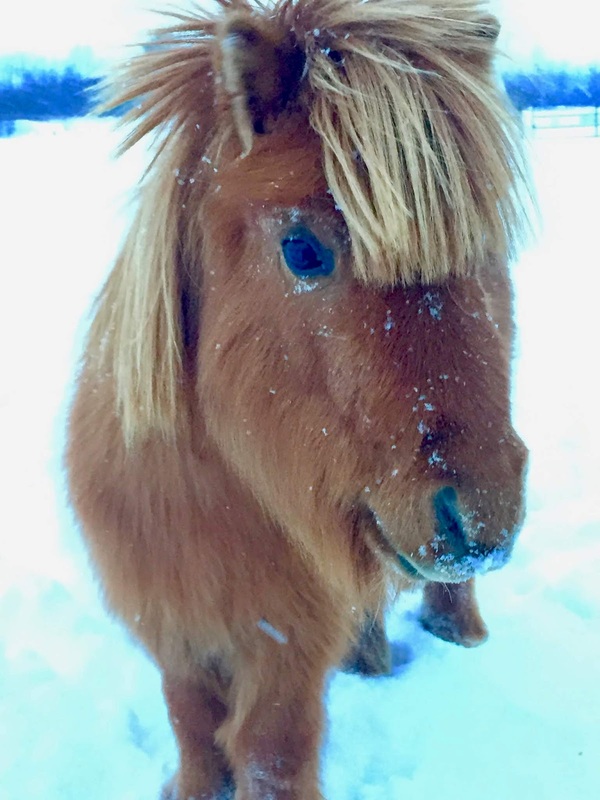 BB Quarter Horses: Winter wonderland? So, I started a new blog. Not sure how I feel about it yet. lol I had a blog back in the day, but let it sit idle for too long. I have some work to do here - to give everyone some info on who I am and what my deal is! 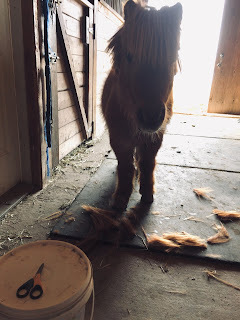 My rationale for attempting to start blogging again was to connect with other horse bloggers and to encourage myself to do more writing. I have to write a lot for work, but it tends to be more formulated responses, so not a lot of creativity is needed. I don't have any plans about what I'll write about - I didn't ride much last year, as I have a new halter horse and fitting him took a lot of time. I guess I'll write about whatever takes my fancy at any given time. I like photography, art and personal finance stuff as well as the obvious: horses. Also expect to see a lot of cat and dog photos! Here in my region of Canada, we are deep - like 260 cm (102 inches) deep - into winter. Now, that much snow falls over a few months and packs down and melts a bit here and there, so we aren't all trying to navigate snow that deep everywhere. We did just get 30 cm (11") overnight and I get to work from home today - hence this first post! I kept the horses in the barn last night (2 QH, 1 mini, 1 pony (who is a boarder)) because the wind and snow were howling out of the SE and they had no shelter. I typically keep the horses outside much of the time, but I make an exception when they can't find shelter from the barn or their lean-to. I'm not a total monster! I'm short - maybe I should've stayed in? Copper, probably. Copper was a little hesitant to leave the barn this morning - can't say I blame him - he is pretty small. I'm only 5' tall myself, so I get the difficulties of short legs and deep snow! Luckily for him, the snow drifted in a way that there are quite a few clear spots for him to get around. 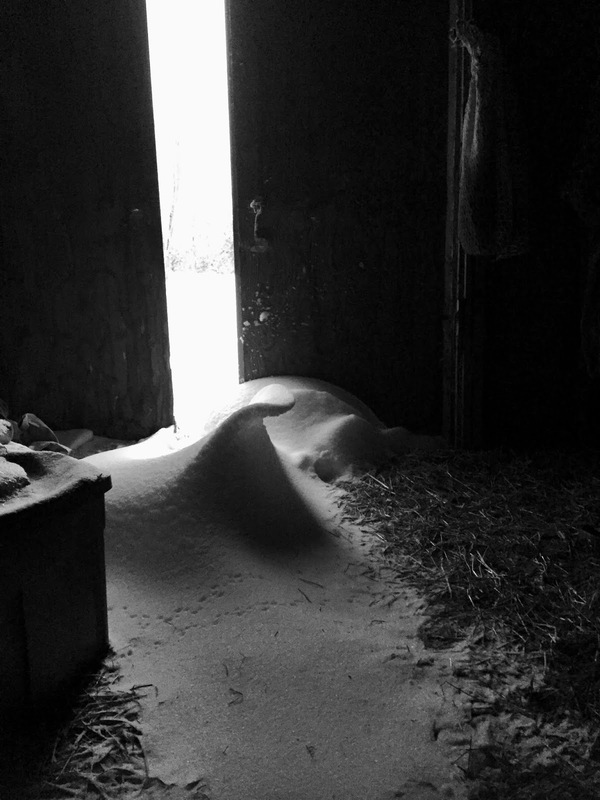 I will go back out the barn later today and do some shovelling to clear out the shelter, the back door and the area around the water trough. I also have to get rid of this wave-like drift that blew in the front doors of the barn! The doors don't close 100% in the winter (ice, snow, laziness on my part) so I sometimes get a bit of snow inside. Crazy wave snow drift - looks like it could come to life at any moment! Also - foreshadowing of the waves I'll see on my trip in 2 weeks!!! OK - first post done! Phew! Hopefully I can post somewhat regularly moving forward! glad you got the comments opened up ;) Copper is suuuuuper cute btw! little mini in so much snow!!! Finally! Some time at the barn! BBQH -Comin’ at ya live from Maui! Laura has read 8 books toward her goal of 32 books.